Ambitious dry stout provides salty oyster-shelled brining to immediate coffee bean roast and lactic cocoa-powdered dark chocolate follow-up. Bittersweet vanilla seeding casually strolls across nutty java efficacy and soft wood-scorched hop char. Tertiary pine tar, charcoal and chewing tobacco undertones simmer beneath creamy mochaccino-espresso dalliance. Initial coffee thrust peters out a tad, but mocha-bound medium-full body stays soothingly robust. 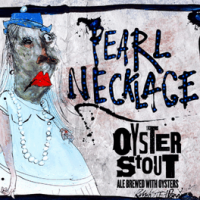 On tap at Triton, local Rappahannock oysters brought creamy sedation to medium-roast coffee overtones, dry-hopped cola nuttiness, dark chocolate bittering, dark cherry hints and light Kahlua snips of updated 2016 version.